This Shanghai Daily article is just slightly jaw-dropping: Police are searching for a woman who flushed her newborn boy down the toilet in a dormitory building on Saturday afternoon in Pujiang County, Zhejiang Province, local media reported today. The baby, however, got stuck in the L-shaped pipe and his cry alerted other tenants in the building. Firefighters arrived after receiving a call and spent two hours to saw off the pipe to free the baby. 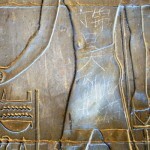 If you're going to deface an ancient artifact in Luxor, Egypt, it's best not to use your real name. 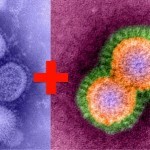 That's the lesson we're learning from the Ding Jinhao incident. A microblogger named Shen, visiting the Luxor Temple earlier this month, noticed Chinese characters scribbled over a sandstone relic alongside hieroglyphics. Mortified, Shen posted a picture of this vandalism onto Sina Weibo, where it went viral. 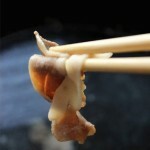 Netizens were furious, claiming the incident was a "loss of face" for the Chinese, according to China Daily. In Chengdu yesterday, a man with a knife reportedly kidnapped a child in Jinniu District. Cops quickly arrived on the scene -- specifically, Weng Hailin and Lu Mingjian -- setting up a dramatic confrontation, part of which you can watch above. 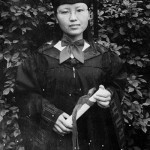 According to the Jinniu Public Security Bureau, Weng was stabbed in the left arm, severing artery. The knife-wielder was eventually subdued with the help of surrounding residents. 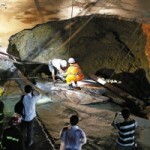 A big hole formed in Shenzhen Longgang District's Henggang Road yesterday at around 9 pm, killing three people. The road collapse is under investigation. Sinkholes are particularly deadly in Shenzhen, apparently. 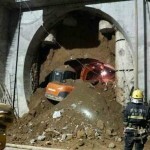 On March 26, surveillance cameras caught footage of a five-by-eight-meter sinkhole killing a man. The disturbing story surfaced yesterday: six girls from a Hainan province elementary school went missing on May 8, with four found on the 9th and the other two found a day later. "They seemed dazed, some girls have bruise on hand and neck," reported Free More News, which is generally a reliable source even though it never cites where it gets its info. "Doctors found lower body injury on all six students. From surveillance video, police found out a school principal and a government employee took students to a hotel on the evening of 8th." Surveillance footage has surfaced purportedly showing 22-year-old Yuan Liya entering Jingwen Mall in south Beijing on the night of May 2. She would fall to her death several hours later -- not seen on tape -- in what police have ruled was a suicide. 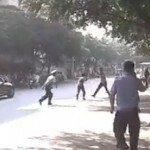 Authorities reportedly blocked Yuan's family from seeing this footage last week, which was one of the reasons cited for an unusually large protest in front of Jingwen on May 8 that caused gridlock and an increased police and paramilitary presence through the city center. The headline says it all, but here's the story: The Beijing police say they have arrested a woman for spreading online rumors in connection with the death of a migrant worker that touched off a rare protest in the Chinese capital on Wednesday. A 28-year-old Beijing woman surnamed Ma was arrested Thursday for writing on Sina Weibo, China’s largest Twitter-like microblog service, that the dead woman had been raped by seven security guards at a clothing market and then jumped from the building. This Beijing protest on Wednesday. 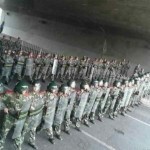 A massive police and paramilitary presence has descended upon Fengtai District around Jingwen Clothing and Apparel Shopping Mall, the scene of either a suicide or murder last Friday. 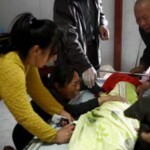 On May 3, a young woman from Anhui province fell to her death from the Jingwen building after allegedly being gang-raped. Police hastily ruled her death a suicide and refused her family's request to see the surveillance footage. This afternoon, thousands (edit: possibly only "hundreds") of people -- many who are migrant workers from Anhui -- gathered in a planned protest between Jingwen and Yongdingmen, a gate just south of the Temple of Heaven on Second Ring Road (a few kilometers north of Jingwen). Hundreds of police have shown up in turn, many in riot gear. Traffic is reportedly backed up for miles. A man from Bayan, Heilongjiang province attacked random drivers and passengers with a knife near Guangqumen Bridge in Beijing on Saturday afternoon, killing two and injuring another. Police say Li Jinghui, 36, "took the drastic actions because he had trouble in his relationship," according to Xinhua. 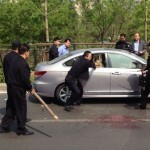 Li ducked into a car and was dragged out both citizens and police. During the ensuing scuffle, which you can watch above, Li suffered fatal wounds. "Police eventually took control of the situation but Li later died in hospital from his injuries," writes Xinhua. 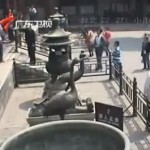 An ancient clock was damaged when a vandal smashed a glass inside a Forbidden City pavilion on Saturday. The window was repaired and the pavilion was reopened the next day, and the damage seems minor. The man, 22-year-old Wang something, reportedly yelled while being arrested, "If I didn't smash the glass, the glass would've smashed me!" Authorities are now considering upgrading the windows on all the Forbidden City's exhibits to keep out the crazies. Xinhua News Agency reports that 904 people were arrested on Thursday as part of a nationwide crackdown on spoiled and fake food. How fake are we talking about? Deep breath time. “In Wuxi, in east China’s Jiangsu Province, suspects made fake mutton from fox, mink and rat by adding chemicals,” the news agency reported.